The Oneida Area Civic Chorale kicks off its 52nd season on September 10, when 110 singers will begin rehearsals for a new year of musical presentations. First up for the Chorale is “International Carol Suites”, a brand-new collection of carols from around the world by composer Mark Hayes. The performance will take place Sunday, December 2, 2018 at 4:00 PM at Oneida High School, and will include two professional soloists and accompaniment by a full chamber orchestra. The 2018-2019 season will be another busy one for the Chorale, with concerts March 9 &10, 2019 and May 19, 2019, and a European tour in the summer of 2019. Watch this space for details! We look forward to seeing old friends at concerts this season, and hope to welcome many new attendees! 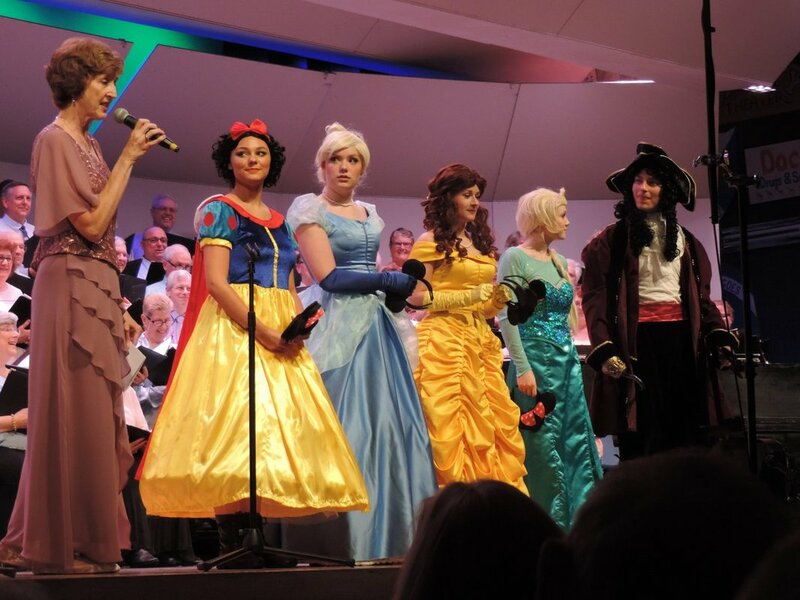 An audience of about 400 enjoyed the concert, "For Us The Living", on Sunday, March 11. The beautiful St. Patrick's Church in Oneida provided a perfect setting for the special concert that focused on expressing grateful affirmation of the gift of life, as well as expressing comfort, consolation and hope to all who have suffered loss. The traditional words of Alfred Fedak's "For Us the Living: A Requiem" and other pieces, combined with his masterful organ accompaniment and the beautiful solos by Juliane Price presented the audience with a healing and emotionally uplifting afternoon. 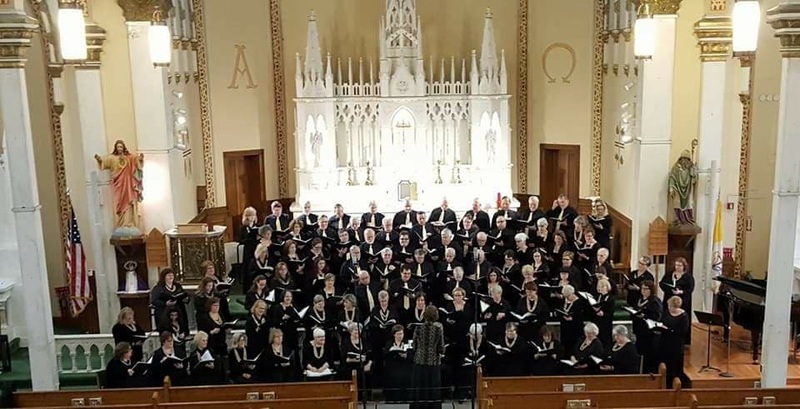 Director Kimberly Nethaway and the 95 community chorus singers were proud of their performance as they continued their tradition of presenting live choral music in the Oneida area.